I used the surnames of my 8 Great-Grandparents to start the master groups. I divided by family or individual after that depending on the volume of stuff I had. 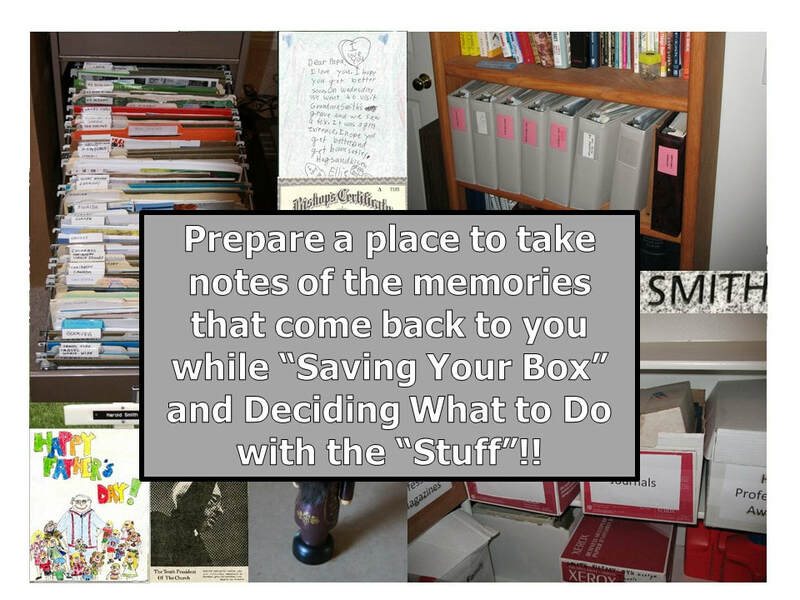 Use file folders and or plastic boxes for sorting. After sorting into the above groups, I also recommend sorting by action needed (transcribe, scan, ask questions about, get special storage material, etc.). Throwing items away is not illegal—even bad photos. Just make sure about what you are doing before you get rid of something. Wait until you have more experience to evaluate items you aren’t sure about. Make sure that nothing is folded inside or sticking to an item that you are getting rid of. Food Safe plastics are archival as well as most translucent storage organizer boxes. What is Needed to Preserve Each Item? Do You have the Knowledge You Need to Preserve the Item? I strongly suggest that one of your tasks be interviewing family members to find out what they know about the family that you may not know. Second strong suggestion: Digitize any media (cassette tapes, VHS tapes, film etc.) that you may have access to. I can’t emphasize this suggestion enough!! I have learned many things the hard way…learn from my mistakes.